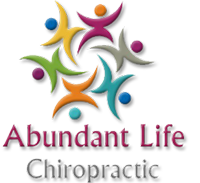 At Abundant Life Chiropractic we offer a wide variety of approaches to be able to customize your health care plan- so that you get the maximum benefits from each treatment here. Many people enjoy massages, but the purpose of getting a massage at our office is more than just a feel-good experience. We really feel it can be a necessary and integral part of your overall health care plan. Our therapist works to target certain areas depending on your injuries or stress. Our therapist is also well experienced in prenatal massage- which helps expectant mothers achieve natural pain relief. Many insurance companies also recognize the benefits of massage therapy and are willing to re-imburse for it under certain plans. Receiving massage therapy helps us achieve our goal for you which is an overall healthier body and lifestyle. Once the pain has diminished by utilizing chiropractic adjustments and physical/rehabilitative procedures, some form of exercise rehabilitation is usually necessary in order to restore full movement and strength to the injured area. It wasn't long ago that doctors insisted that we could get all the vitamins we need from our diet. Current agricultural practices and our fast paced lifestyle often make that impossible. Even fruits and vegetables "fresh from the market" are, in many cases, picked days or weeks before they are ripe and shipped and therefore only offer a fraction of the original nutrition they once offered. We offer nutritional counseling to include comprehensive questionnaires that pick out any deficiencies or problem areas so they can be addressed appropriately. This service is another step in providing complete wellness care at our office.